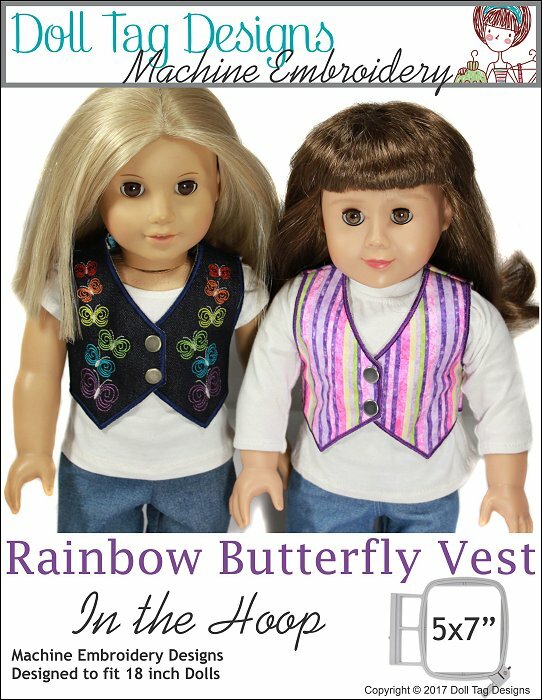 A cute accessory for girl or boy dolls, this vest is completed in the hoop or your embroidery machine and easy to do! 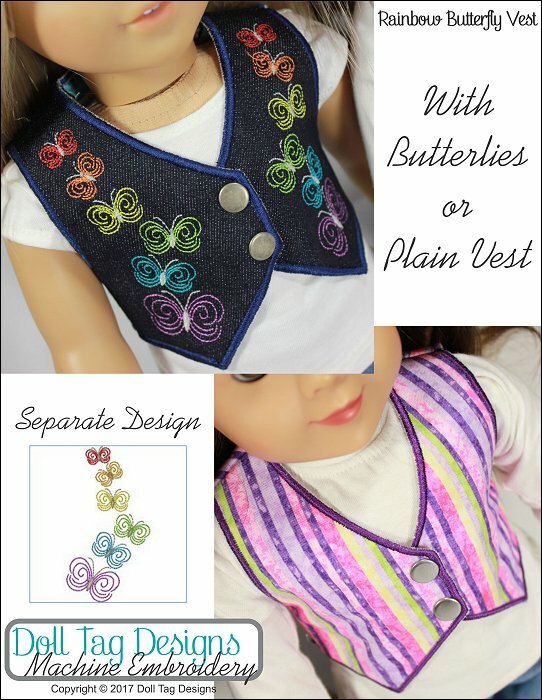 Included with this set are 2 vest options: with butterflies or plain. Play with fabric! One butterfly design is included in this set. Embroider a vest for your doll in the hoop. There are 3 hoopings in total per vest and construction is done in the hoop. Use denim or cotton fabrics for these fully lined vests and add snaps for front closure. 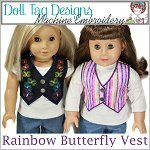 Rainbow Butterfly Vest - Machine Embroidery comes with the following format(s) and is an instantly download after checking out.